This vibrant striped sweater is the perfect way to brighten up a chilly spring morning! 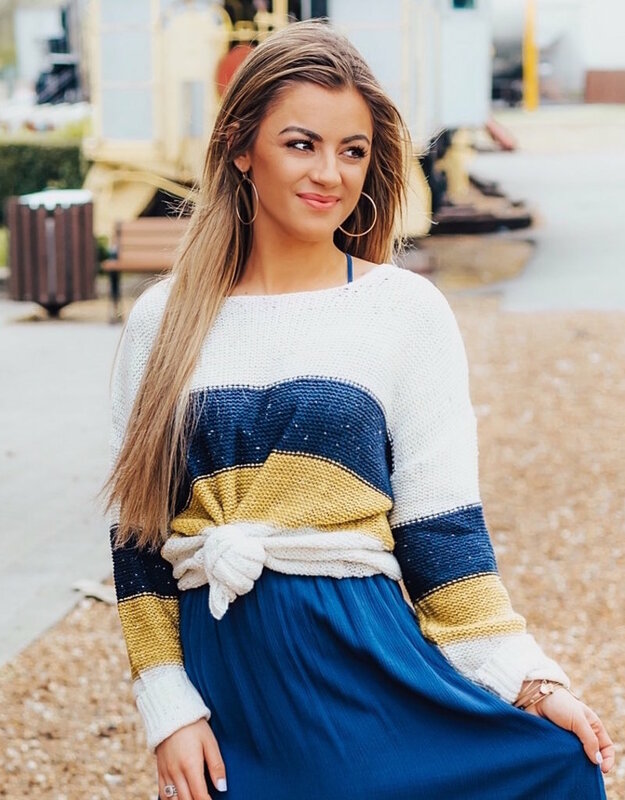 Featuring a gorgeously subtle combination of navy, mustard, and ivory, this knit is so stunning! And we love the casual oversized fit - it's so easy to drape this over a bralette or cami!